Chandigarh 12th July:- In an exemplary gesture, the parents of an 11 month-old baby from Sector 45, Chandigarh donated his organs, giving a new lease of life to a terminally ill renal failure patient here at PGIMER. This makes the baby the youngest donor in PGIMER’s transplant history so far since the cadaver renal transplant program initiated in 1996. When the attending doctors broke the news to young parents Geeta and Lakshman that their beloved son Pritam wouldn’t pull through here at PGIMER, they knew they didn’t want his death to be in vain. Grief stricken but brave-heart parents of angelic Pritam, said that it’s something no family should have to go through. We said yes to Organ Donation because we knew this could help some one else and they wouldn’t need to go through the heartache that we were going through. We knew it was the right thing to do. Expressing his sentiments at the benevolent act of the donor family, Prof. Jagat Ram, Director PGIMER stated that the latest case of cadaver organ donation is an epitome of humanity and self-sacrifice on many counts; the donor family being originally from Nepal, their resolute spirit to see this transplant through despite braving the loss of their little baby who was yet to celebrate his first birthday; PGIMER’s determined efforts to honor the noble wish of the donor family and even civil society’s wholehearted support for the financially broke and care deprived recipient. Further, while commending the efforts of the PGIMER team involved in the process, the Director PGIMER shared that PGIMER’s team of experts right from neuro-surgeons, pediatricians, intensivists, transplant surgeons, transplant coordinators, complimented by the extended support from testing labs and nursing units, has enabled this rare and landmark transplant within a crunched time frame. But it was not possible to reach this far without the reiteration of faith by the donor family, who always believed that come what may, PGIMER would enable their son to re-live in others. One feels humbled and honored by their trust reposed in the institution’s competence. Prof. Ashish Sharma, Head Deptt. of Renal transplant Surgery, PGIMER, detailing about the latest case shared that the case had its own kinds of challenges. 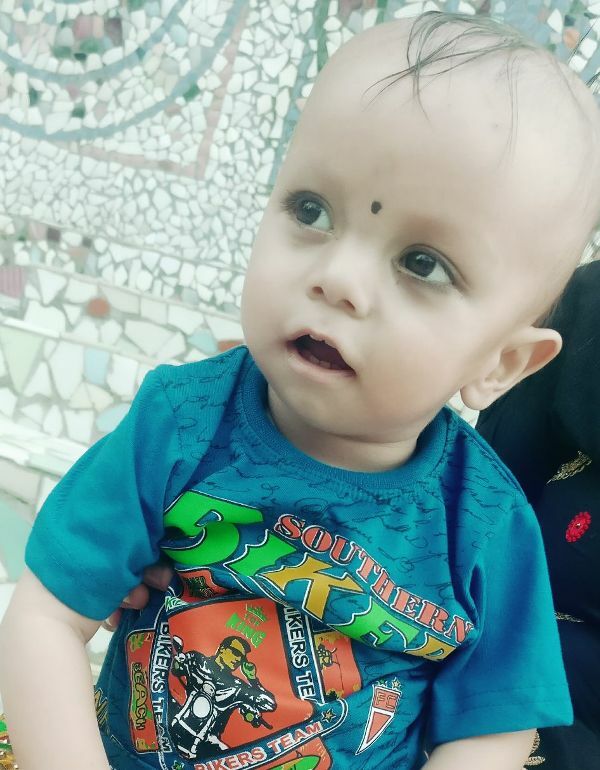 According to organ donation norms for babies under the age of one, two confirmatory tests to declare a baby brain dead must have a gap of 24 hours. So, it was a herculean task for the pediatricians and intensitvists to maintain the donor infant through that time gap. Also, the retrieval process of kidneys demanded extreme deftness and skill to accomplish it successfully. Even, the transplant had its own difficulties as the best matched recipient was an adult so both the kidneys had to be transplanted onto one recipient considering the age factor. But it was the rock solid determination of the donor family that pushed all of us to make it happen. It was picture perfect moments for Geeta on 6th July. Her 11 month old cherubic son playing gleefully in his baby cot and she thoroughly enjoying his every gesture, every movement till in a split second, the little one rolled over and fell from the cot. Before Geeta could realize what had happened, her little one had already become unconscious due to fatal head injury. The family immediately rushed the baby to Govt. Medical College, Sector 32, Chandigarh from where the case was referred to PGIMER and the infant was shifted here in PGIMER on 6th July itself. Lakshman said that the incessant attempts to revive the baby proved futile, as Pritam continued to remain on ventilator. Finally, when the doctors called him and his wife Geeta, both of us instantly knew it was terrible news. We can’t blame anyone but our own destiny. Following the consent of the parents, the baby's kidneys were retrieved and transplanted to an adult. Though the first priority was pediatric recipients, however, the cross match identified an adult recipient so both the kidneys were transplanted to the same patient in view of the recipient’s age. Prof. Vipin Koushal, Nodal Officer, ROTTO PGIMER, highlighting the importance of community engagement in Organ Donation, said that it has been observed that people generally seem convinced about the noble cause of Organ Donation. But when it comes to pledging for Organ Donation, they would put it off to another time. The right time is ‘NOW’. Your one ‘YES’ to organ donation may save many precious lives.